For teeth that are stained, discolored, chipped, broken or misaligned, cosmetic dental procedures combine to restore the appearance of one’s smile. As advancements in modern cosmetic dentistry continue, Crest outlines the different types of cosmetic dental services, beginning with teeth whitening. Perhaps the simplest and least expensive cosmetic dental treatment, teeth whitening goes a long way in improving one’s smile. However, it’s important to exercise caution when attempting to use over the counter teeth whitening products, as these can damage tooth enamel and lead to sensitivity. Talking to a dentist about professional teeth bleaching is not only a safer choice—it is a more effective one. As wafer-thin, customized shells of tooth-colored resin or porcelain, dental veneers remain a popular cosmetic dental procedure. Often called “Hollywood Teeth,” veneers are cemented to the front surfaces of teeth, and they provide a complete transformation when it comes to the color, shape and size of teeth. Similarly, tooth-colored resin offers a pleasing alternative to silver amalgam fillings, while protecting teeth that are decayed, chipped, cracked or misshapen. Moreover, indirect fillings such as inlays and onlays are bonded into place in a conservative manner. In other words, when there’s enough healthy tooth structure, inlays and onlays serve as alternatives to invasive fillings and even dental crowns. Yet, when teeth are severely weakened, a dental crown might be necessary. Because the crown fits over the entire visible portion of a tooth, it protects against further tooth decay. From an aesthetic standpoint, however, the dental crown restores the shape, size and appearance of the tooth using resin, porcelain-fused-to-metal or ceramic. 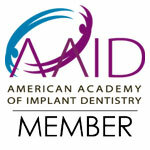 As replacement tooth roots composed of titanium, dental implants are inserted into the bone socket of a missing tooth. Remarkably, the existing jawbone grows around the metal post, providing stability for the replacement tooth. Dental implants are indistinguishable from other teeth, and provide a fuller, more youthful contour to a patient’s face by filling in areas where teeth were once missing. When it comes to cosmetic dentistry today, many patients opt for multiple services combined to provide a full mouth reconstruction or smile makeover. Schedule Your Smile Consultation Today! At Ora Dentistry in Elk Grove, we offer the latest in modern cosmetic dentistry so that patients can achieve the smile that they’ve always wanted. From specific treatments to brighten or repair chipped teeth, to procedures aimed at restoring the size and function of existing teeth, our team welcomes you to call for a smile consultation.